I think it’s the social context part that trips me up. In certain contexts — e.g., conferences, at work, etc. — small talk is relatively comfortable because I’m accustomed to it in that setting. In less structured and/or more unfamiliar settings, small talk is really painful because it may not be entirely clear what the “rhythms and rules” are. Great post, Mark – I hope to catch you in New Orleans for some high-level small talk! 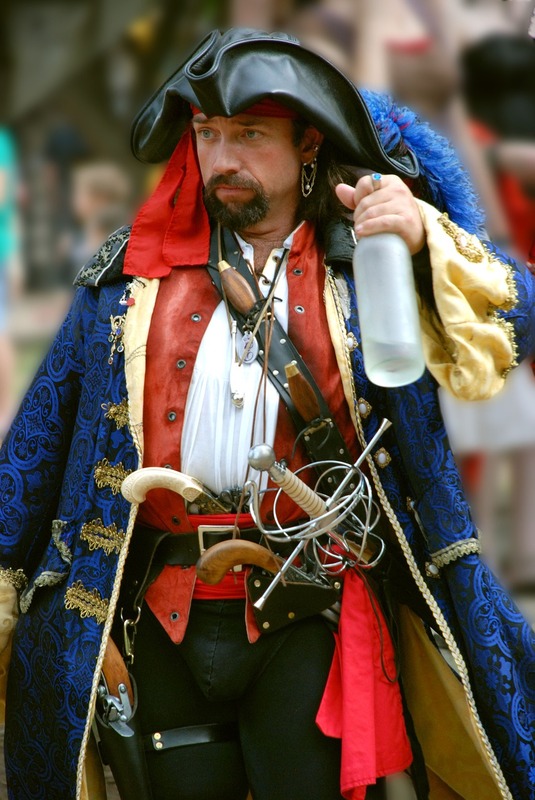 That pirate needs more flintlock pistols…. and rum. I definitely enjoyed your post. Unfortunately I won’t be attending APRA this year, but that may be just as well because I don’t know what I would do if I met anyone who started asking me “level eleven” type questions! Mostly I tend to stick with the second group of questions. Many years ago, I read a book called “The Art of Mingling” which contained advice and categories about selected questions to ask in any social gathering, much of which I have forgotten. Parts of it read like anthropological observations about the natural flow of conversations in social gatherings; for instance, there were tips about how to “drop in” to conversations near you, or how to extract yourself from particular awkward or uncomfortable ones. After I read it, I definitely made more of an effort to meet and speak with a certain number of new people at gatherings I attended. As it turns out, the author tweets @Miss_Mingle and earlier today announced that she plans a new edition of the book to be released later this year.